As our membership renewal campaign is in full swing, a number of members have asked me why we no longer have a Newsletter—and have expressed a desire for one. Nationwide, newsletters have dwindled in the Internet age. Postage and paper are expensive. We do have a blog, a web site, a Facebook Page, a Pinterest site, and so on where you can go to see our latest activities, pictures, by-laws, and so on. And these sites are doing an excellent job. But maybe you members would like more regular communication to be pushed directly to you???? What follows IS NOT a newsletter, but it is modeled on the local info@srqmagazine.com and info@biz941.com idea. 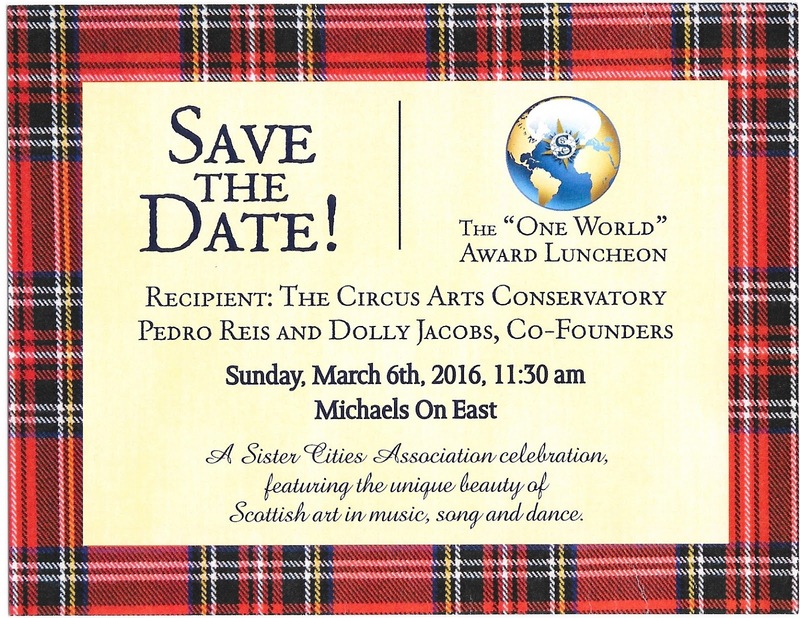 Short snippets of what is going on in the Sarasota Sister City world sent to you as things happen. At this point, this is not an official organ of Sarasota Sister Cities. It is strictly what strikes Dave Harralson, your Membership VP, as being newsworthy. At this point info@sarasotasistercities is strictly unofficial—and may or may not last. We’re just trying out something new. Your Membership Vice President is calling or emailing each of you to tell you we have received your check or PayPal statement. But remember……..it takes a while for your check to get from City Hall to our new office in the Federal Building. Then the treasurer has to pick up your checks / PayPal, log them, forward them to me, and ONLY THEN can I let you know they have been received. Thanks for your patience. Board member Ron Gossett suddenly became ill this last summer and passed away on October 9 after a short illness. 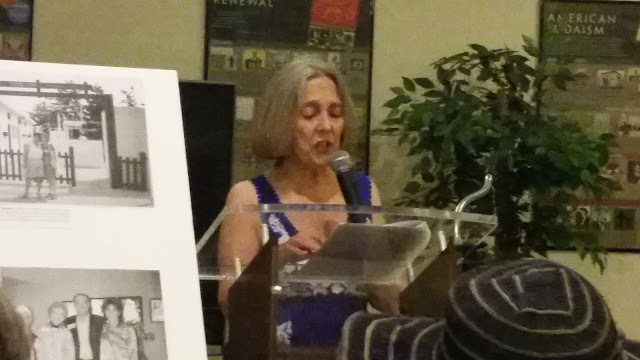 Ron organized the Playwriting Festival we sponsor with Florida Studio Theatre and was a board member of Sister Cities International. He will be greatly missed—and we send our warm regards to his wife, Shirley. 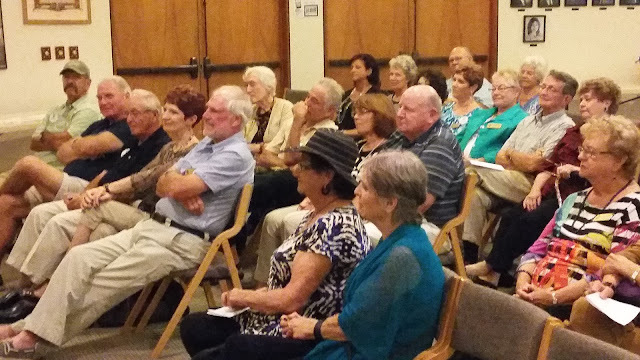 We began this Sister City lecture series last Fall, and it has been a bit hit so far. 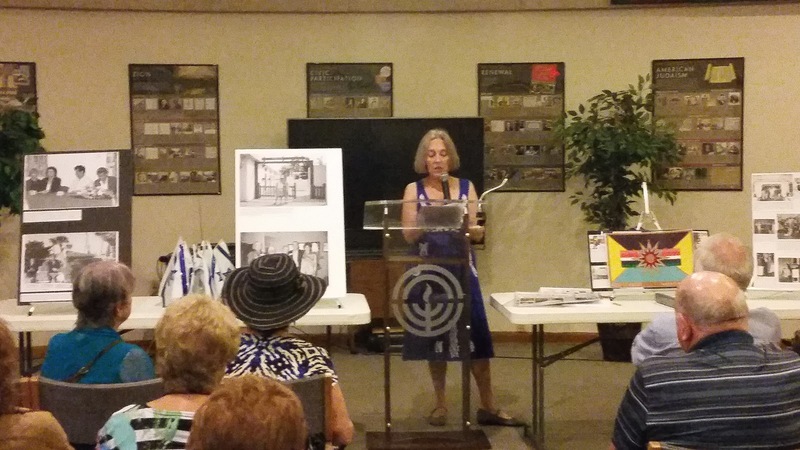 Talks on everything from Sarasota history, the creation of perfumes, to the relationship of the Sarasota Jewish community to Israel (and particularly our sister city, Tel Mond). They will begin again in the New Year, and each is followed by a Meet & Greet, a social hour where we can discuss the talk over wine and munchies. You will receive specific details about locations before each event. Hope to see you there! A NEW SISTER CITY FROM SWITZERLAND? New sister cities are not suggested—and immediately accepted. Getting a new sister city is a courtship process. After both Sarasota and a candidate city visit back and forth, determine likenesses that would insure a successful twinning, a city then becomes a “Friendship City.” Sarasota and our potential sister city are engaged, but not yet married. We explore possible educational, tourist, cultural, and economic development exchanges and activities. Is there enough interest in Sarasota to support a prospective new sister city? Is the foreign city strongly interested in contributing to the success of this twining. Only then, after this long process, is a city recommended for twinning with us. I tell you all this to let you know that we have made a new friend. Under the careful tutelage of Primo and Ruth Bader and the Swiss-American Club, Rapperswil-Jona has been proposed as a new friendship city from Switzerland. Welcome Nelly Camardo, Provisional City Director for Rapperswil-Jona and Charlotte Hull, Assistant City Director. SISTER CITY PLAQUES IN BAYFRONT PARK ARE CRUMBLING?!?! On Island Park, a part of Bayfront Park, A tree has been planted by the city each time we twinned with new Sister City. Each tree has a plaque in front of it telling which Sister City it was planted for and the date. A recent letter from the city suggested that the plaques before each tree were in bad shape. To that end, Ray Young (chair), Gloria Grenier, Dave Harralson, and Bill Wallace visited Island Park to examine the condition of the plaques. We found that as the trees have grown, their roots are pushing the plaques (on a concrete base) out of the ground, and most of them are now askew. Our committee has suggested that the City reseat the plaques. We have offered to replace the one plaque that is missing. Some on the committee even suggested that a small sign be mounted at each end of the walk indicating that this is the Sarasota Sister Cities Walk of Trees. Stay tuned for what happens……………..
Office space has grown increasingly tight at City Hall, but the city manager (with the strong encouragement of Kenney DeCamp) has found us a new office in the old, beautiful Federal Building at the corner of Ringling Blvd. and Orange. We now have a much larger office with storage space. We moved in late October. Thanks for your effort Kenney. WHEN I COLLECT A LITTLE MORE NEWS, YOU’LL HEAR FROM ME AGAIN! THAT IS—IF YOU WANT TO HEAR FROM ME AGAIN! Roamin’ in the gloamin’ wae my Lassie by my side. COME ALONG! Join us to go Roamin’ in the gloamin’ on the bonnie banks o’Clyde! 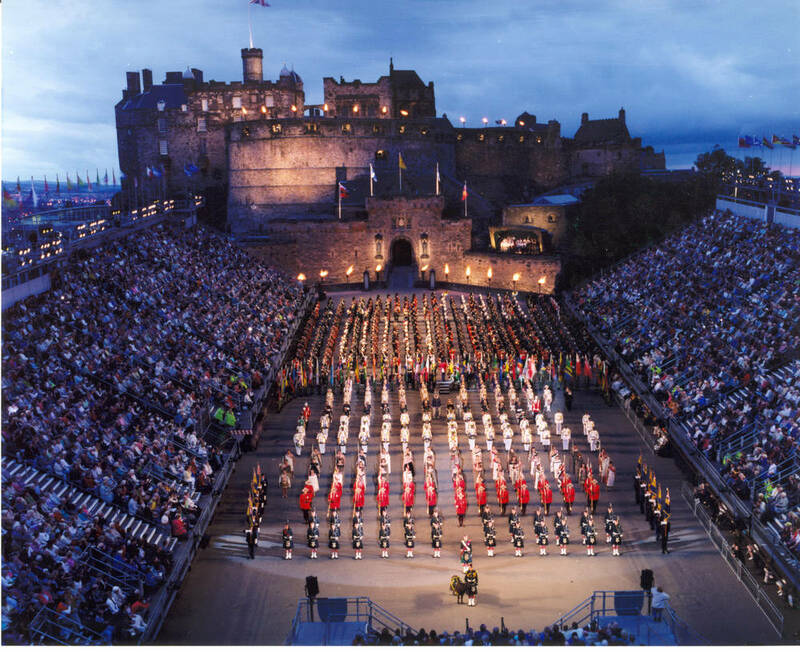 * including a spectacular night at THE ROYAL EDINBURGH MILITARY TATTOO. Estimated price for the 12-day trip (not including airfare): US $3,100.—per person. Detailed Itinerary on the following pages with listings of included excursions and activities. Please note all local departure dates & times are adhered to. For information please contact: Pauline Mitchell, City Director – Dunfermline, who together with husband John Mitchell who is a native Scot from Paisley, has enjoyed extensive travel for 40 years through this gorgeous country. Email: pjmitchellusa@yahoo.com, Telephone: (941) 485 5199. "History of the Israel Connection to Sarasota"
What cities in Israel have a special bond with Sarasota? How similar are Sarasota and Israel? What presence does Israel have in Sarasota? What presence does Sarasota have in Israel? A suggested donation of $5.00 to SCAS would be appreciated. Which is located in the subtropical climate zone? Which has at least one street named Olive? Which has the percentage of residents over the age of 65 increasing at a very rapid rate? Which boasts tourism as a major source of income? Which is home to a vibrant cultural life filled with renowned artists, musicians, dancers, and actors? Which grows oranges in great numbers? Which has a flag with horizontal stripes with a symbol in the middle? Which has a restaurant with burekas and shakshuka on the menu? Which has at least one street named Olive? The Most Popular Street Name in Israel - "HaZayit" (Olive). In Israel olive is a symbol of peace. There is an Olive Avenue in Sarasota and an Olive Street in Englewood. Which has the percentage of residents over the age of 65 increasing at a very rapid rate? The number of people over 65 in Israel is expected to double in the next two decades. 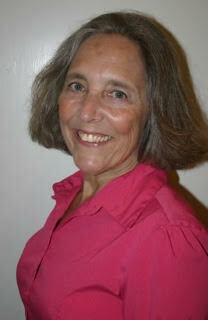 The percentage of Sarasota County’s residents over 65 years of age is increasing rapidly too. Which boasts tourism as a major source of income? Tourism in Israel is one of Israel's major sources of income with a record 3.54 million estimated tourist arrivals last year. 4.8 million tourists arrived in Sarasota for a vacation last year making tourism one of Sarasota’s major sources of income. Which has beautiful beaches? Israel Beaches have crystal clear blue and turquoise waters combined with natural undisturbed coastlines. Unique about Israel is that Israel has four distinctly different bodies of water: The Mediterranean, Red Sea, Dead Sea, and Sea of Galille. There are 137 beaches in Israel. Siesta Key was voted the #1 best beach in the US and the 14th best beach in the world in 2015 by Trip Advisor’s Traveler Choice Award. Which is home to a vibrant cultural life filled with renowned artists, musicians, dancers, and actors? Israeli is home to a thriving and vibrant cultural life filled with renowned artists, musicians, dancers, and actors. So is Sarasota. Live performances take place regularly throughout Sarasota and Israel. Which has palm trees? The state tree for Florida is the sabal palm. So it is no wonder, you see so many palm trees in Sarasota. The most popular palm tree in Israel is the date palm. Which grows oranges in great numbers? The orange is the official state fruit of Florida. In Sarasota Yellow Pages, there are eight orange groves in Sarasota and many shops selling and shipping oranges. Israel is one of the world's leading fresh orange producers and exporters. Which has a flag with horizontal stripes with a symbol in the middle? Both flags have horizontal stripes and a symbol in the middle, but the Sarasota flag has more stripes. Each color on the Sarasota flag represents a characteristic of Sarasota and many of these characteristics seem to describe Israel as well as Sarasota such as green represents palm trees, white represents beaches, orange represents citrus fruit blossoms, the dark blue represents paradise, the light blue represents sky and water, gold represents sun life, burgundy represents fragrant flowers. Which has a restaurant with burekas and shakshuka on the menu? Burekas are stuffed pastries and are often said to be Israel’s favorite snack. Shakshuka, known as Israel’s breakfast of champions, is a dish of eggs poached in a sauce of tomatoes, chili peppers, and onions. Sarasota’s Fresh Start on Orange Avenue is owned by someone who was born in Israel and serves burekas and shashuka. There are many restaurants in Israel serving burekas and shakshuka. Responsible for developing and implementing SCAS’s communications pla n.